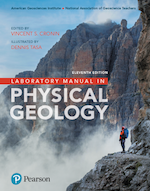 This user-friendly, best-selling laboratory manual examines the basic principles of geology and their applications to everyday life. Students are encouraged to view these principles in terms of natural resources, natural hazards, and human risks. 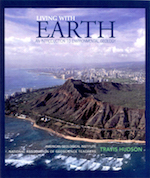 This trusted resource features contributions from highly regarded geologists and geoscience educators, with an exceptional illustration program by Dennis Tasa. 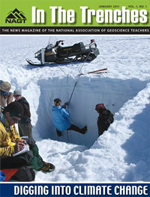 The Journal of Geoscience Education (JGE) is the premier peer-reviewed publication for geoscience education research at the undergraduate and pre-college levels. JGE serves as the only international forum for the publication of research concerning the pedagogy, assessment, and philosophy of teaching and learning about the geosciences. Find more information on subscription options and back issue requests on the Subscriptions page. In the Trenches is a quarterly print and digital publication for members designed to provide a forum for geosciences education dialogue targeting educators in the classroom. It provides a venue for contributors to inform NAGT members about their best teaching ideas, new resources, and other special topics relevant to our profession that do not lend themselves to more research-focused journals. With In the Trenches, educators are provided with a more conversational outlet for ideas and experiences that inform the larger community. The e-News was a quarterly electronic magazine which went out to all members of NAGT.